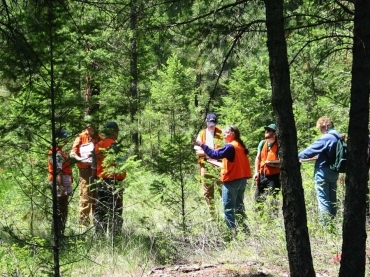 This course is an EFAW + F, forestry specific course. It tailors the standard Emergency First Aid at Work content specifically for forestry workers and covers the additional topics required by the Forestry Commission i.e. severe bleeding, crush injuries, hypothermia and Lymes disease. This course is Ideally suited for emergency first aid at work training for those in lower risk areas. We offer both open and bespoke courses for your organisation at a venue and date of your choice. Our REC certified course is delivered through practical scenarios to give you extensive experience of basic life saving treatment and ensure you leave with the confidence and skills which you need to deal with first aid incidents in your workplace. The Forestry Commission recommend that those who work in the Forestry industry annually attend EFAW + F training which includes additional topics relevant to the risks and nature or their work. These topics are to covered in addition to core first aid skills taken from the the standard emergency first aid at work training syllabus. The First Aid at Work courses should be delivered over at least 6 hours, not including breaks, normally run over one day.